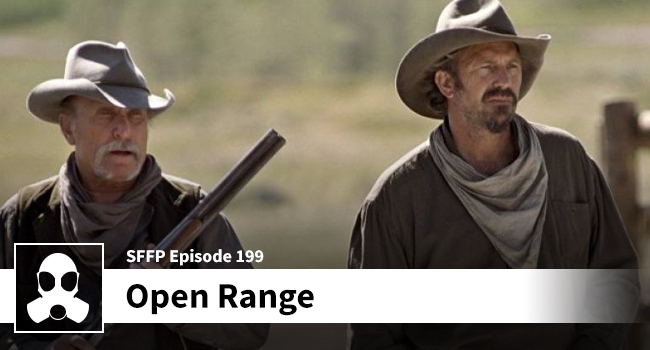 The lads finish up the ‘Prugh Trilogy’ this week by getting into the nitty-gritty of Open Range. By the end of this week’s episode you will know all about awful Irish villains and their fey allies, you’ll get a glimpse into the finer points of contraception (involving your stetson) in the Old West, and the real possibility of two-headed babies from late-forties parents. Make sure you got your plots dug before you get with the baby making. Matthew and Dean do manage to get to the movie between ludicrous scenarios that have nothing to do with this film. You’ve been warned.